Are you looking to have a lock replaced? SF Locksmith provide an affordable lock change service if keys have been lost or stolen, the lock has broken or requires upgrading. Our professional and convenient solution is to provide a quick response for Sheffield home and property owners. We can have your locks changed within the hour, if required in an emergency situation. SF Locksmith specialise in the installation and replacement of door and window locks to residential and commercial properties. Our fully qualified engineer is a member of The Association of Accredited Locksmiths and will be able to establish which available products best suit the needs of the customer to maintain home security whilst also complying with insurance company requirements. We will endeavour to always fit proven British Standard products to ensure that you receive the best quality from us. If your door lock requires replacing we have the largest stock of available products carried by any locksmith in Sheffield. If you have been told that your lock is no longer available, ring SF Locksmith first before considering an expensive new door. We can supply and fit any kind of locking products to a high professional standard, for any door model, specification and size. All locks replaced will be of a British Standard or higher. Replacing a broken or seized window lock is as important as replacing a door lock for your security, which is the reason we offer the same fast, quality window locking mechanism and handle replacement service. 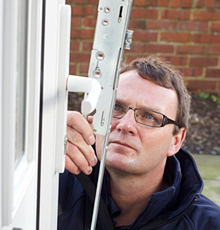 Our extensive range of replacement parts and materials means we will be able to resolve any window lock problems you have quickly and efficiently. 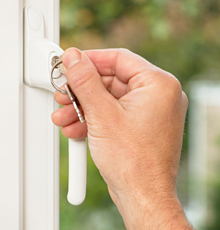 With over 20 years of experience in the replacement of locks on doors and windows in the Sheffield area, we are confident we will have your problem resolved with the minimum of fuss. Our professional approach is the mainstay as to why our customers continue to use us time and time again.